These are delicious! I made them last Sunday because my daughter had 'biscuits and milk' on the school pudding menu one day this week and I thought I really ought to send her in with something home made. I had no idea what to make and no recipe to follow, but knew I wanted the cookies to meet the criteria of 'contains fruit' and 'daughter must still eat and enjoy despite containing fruit'. 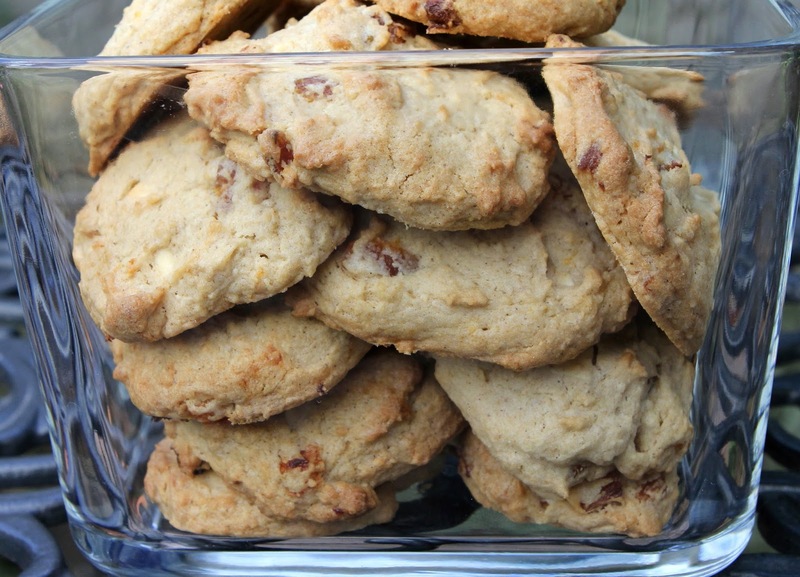 I love using dried apricots in cookies and biscuits because they have such a yummy, chewy texture which gives them more substance as well as a rich, deep, fruity tang. I didn't know what to put with the apricots and then (being the sad, cooking-obsessed individual that I have become), woke in the middle of the night and had a ginger and white chocolate brain-wave! I really can't believe I did that! They turned out to be unexpectedly lovely. The texture of the cookies is beautifully soft with a crisp edge and they didn't spread too much in the oven so they give a perfect-sized bite. I limited the amount of rice flour in the recipe as I find it can be a bit gritty. There is no grit in these! They do not crumble either, but hold together perfectly and without any apparent effort. Just to check it wasn't a fluke, I have made them a second time......................... Still delicious! Prepare a couple of baking trays by lining with baking paper. 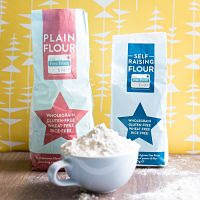 Weigh all the flours, xanthan gum, ginger, baking powder and salt into a medium bowl and mix well, ensuring any lumps are completely broken down and combined. Set aside. Add the egg and vanilla extract and beat until smooth and fully combined. Add the dry ingredients to the butter-sugar mixture and mix thoroughly to form a smooth dough. Add the apricot and chocolate and stir into the dough. Spoon small rounded piles of the dough onto the baking trays leaving a gap between each to allow for spreading. Alternatively, you can use a cake pop or small ice cream scoop to distribute the dough into piles. Place in the oven and bake for 15 minutes until beginning to turn golden at the edges. You may wish to switch the trays around in the oven half way through to get an even bake. Remove from the oven and allow to cool on the trays for about 10 minutes before placing on wire racks to cool completely.